Cinemark Playa Vista set to open. 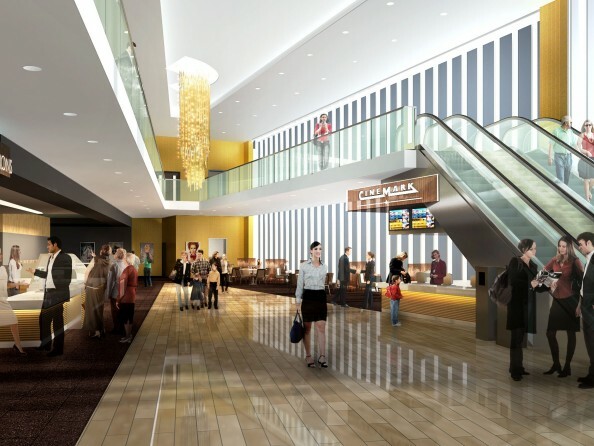 The community’s newest movie theater, Cinemark Playa Vista, will open on Thursday, March 12. The theater will feature 9 wall-to-wall screens, electric-powered luxury recliners and a full bar and lounge. Reserve level seating includes luxury seating with tables, private balcony access and a cocktail lounge with an indoor/outdoor area. To help celebrate the opening of the theater, Cinemark Playa Vista is holding a Grand Opening VIP night on Wednesday, March 11 at 6 p.m. The invite-only event, will feature free movies and refreshments. The HomeTown News is giving away pairs of tickets to this VIP event. To enter, please like us at facebook.com/thehtn and find the “Cinemark” post. Please comment on the post with your favorite movie. The deadline to enter is Sunday, March 8 and winners will be chosen at random and notified on Monday, March 9 via Facebook. Small Business Spotlights. Councilman Mike Bonin is asking the community “What’s your favorite small business?” In order to support small businesses that are helping give life and personality to neighborhoods, as well as creating jobs, Bonin is asking community members to nominate their favorite small businesses for a “Small Business Spotlight.” Each week, Bonin will select one to promote via social media. The nomination can be for any type of small business from restaurants and bakeries to dry cleaners or barber shops. Visit www.11thdistrict.com/small_business_spotlight_nomination to fill out the nomination form. Marina del Rey Hotel. Pacifica’s Marina del Rey Hotel celebrated its recently completed renovations with a grand reopening bash on Tuesday, February 24. The hotel, which was built in 1964 and is the Marina’s first hotel, spent $25 million to revitalize the property just in time for Marina del Rey’s 50th anniversary celebration this year. The hotel now features 164 updated rooms and suites, as well as four-star amenities. The hotel is also home to SALT Restaurant and Bar. The restaurant uses fresh, seasonal and locally sourced ingredients to create dishes that are a modern twist on American cuisine. The Marina del Rey Hotel is located at 13534 Bali Way in Marina del Rey. Otis College of Art and Design names new president. Bruce Willis Ferguson has been named as Westchester’s Otis College of Designs next president. His presidency will take effect on May 11. Ferguson is currently Vice Chairman at the global multi-media company Louise Blouin Media. Ferguson’s leadership comes at a critical point for the university, with its centennial in 2018 and an expansion planned for its main campus. The plan will add a residence hall, a 300-seat forum and additional academic and administrative space to the campus. Protector’s Breakfast. The LAX Coastal Area Chamber will hold its annual Protector’s Luncheon on Tuesday, March 24 from 11:30 a.m. to 1:30 p.m. The business organization holds the yearly event to thank local protective agencies for keeping the community safe. For the past 20 years, the chamber has invited men and women from various departments to have lunch with the business leaders from the community. This year’s event will take place at Culver City’s DoubleTree by Hilton Los Angeles Westside. For more info or to purchase a ticket, please call (310) 645-5151. Friends of Ballona to recognize three watershed warriors. On Thursday, April 30, the Friends of Ballona Wetlands will recognize three honorees at its annual Ballona Watershed Warriors Celebration. This year’s awardees include two new Los Angeles Board of Supervisors, Sheila Kuehl, District 3, and Hilda L. Solis, District 1 and Southern California Gas Company (SoCalGas). Supervisor Kuehl is being honored for her work in making the preservation of California’s environment a top priority throughout her career as an elected official. While she was in the State Legislature, Kuehl authored many pieces of environmental legislation that have directly affected the Ballona Wetlands by authorizing funding for the establishment of the Santa Monica Bay Restoration Commission that oversees the well-being of the Ballona Wetlands watershed. LA County Supervisor Hilda Solis is being recognized for being a leader with a solid track record of commitment to environmental issues. SoCalGas is being honored for being a good neighbor to the Ballona Wetlands. For more than 17 years, Sharon O’Rourke was the Public Affairs Manager for the Playa del Rey area, passing over the reins to Mike Harriel in 2012. The Friends are recognizing SoCalGas for helping to protect the health of the environment through their support of programs that address local, regional and statewide policies and initiatives that promote healthy and safe communities. They have also demonstrated their support of the wetlands by supporting the Friends’ education and restoration programs. We want to hear about your new business or recent success! If you have something to share, please email us at westchesterhometown@yahoo.com for a chance to be featured.